Today we’re going to talk quite a bit about Northumbria. And actually, Northumbria is going to start to get really important in our story going forward. Now much of what we know of Northumbria during this period is due to the efforts of Bede, and other Northumbrians who maintained his tradition of keeping annals. And actually, it’s been argued that even the term “Northumbria” might have been coined by Bede himself. So clearly this is a very important source for us. THIS IS FANTASTIC! I’ve had a jones for early British history for decades (too ashamed to be specific). 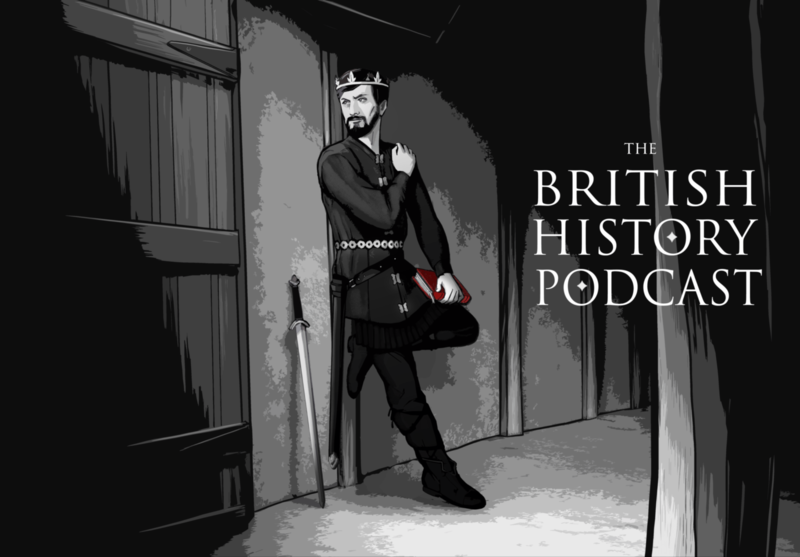 I found your podcast via the Medievalist.net and found them via Paul Blinkhorn on FB. Starting off with your latest episode, it was very cool to see a bit of my family tree posted this week:Team Aethelfrith (sorry). I’m giddy with the prospect of spending hours and hours listening to this. THANKS! I think there may be a problem with the ‘Play in new window’ and ‘Download’ links for this episode (OK for Ep 126). Using Safari browser – no problems previously. Ok, can you try it now? Yep – all good now. Many thanks. Really enjoying these episodes Jamie. I am a native of Northumbria (specifically Bernicia, as I’ve just learned) and my mum was born in Monkwearmouth, where Bede lived, so these episodes involving my part of the world are especially cool. Ashamed to say how little I knew about my own patch, so thanks for all your research and an excellent podcast. How do I find the family tree of Bernicia that you mention in the podcast?